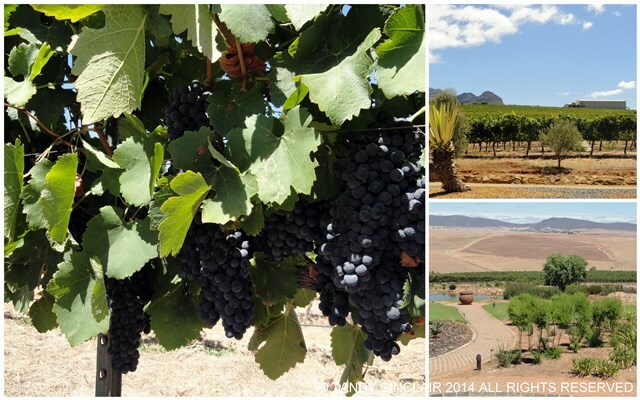 Org De Rac is situated in the heart of the Swartland, on the foothills of the Piketberg mountains. I have been very fortunate to see the wines from this estate grow in stature and can easily say that the wines are worth buying and drinking. We have tasted these wines since the first bottling and they are now scoring high with local wine lovers and organizations. The wines are ready for drinking, but can be left in the bottle for you to enjoy in a few years time. The most remarkable thing to note about these wines are that they are organic. The entire farm is run on organic principles and together with the grapes, olives are grown and pressed into olive oil, and sold at the estate. 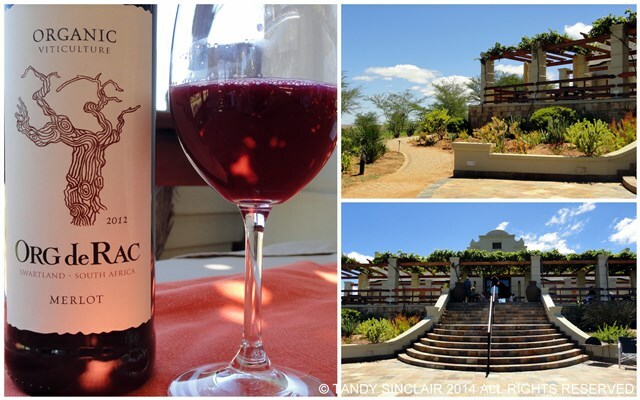 We recently took a drive to Org de Rac at the end of the harvest, where all that was left on the vines was a row of Shiraz which will be bottled as the South African equivalent to Port. Our outing started with refreshing must. This is the juice from the grapes which is left to ferment to become wine. I enjoyed two glasses of must before we walked to the cellar for a tour given to us by the winemaker. Frank offered me more must to taste – the third glass being slightly more fermented that the first two. After seeing the various stages of the wine making process in action, and a visit to the barrel cellar, we proceeded to sit outside and enjoy a meal arranged by the owner of the wine estate for the people instrumental in getting the wines to where they are now. This includes 3 reserve wines and a Méthode Cap Classique that I cannot get enough of! The Cuvee La Verne is produced from Chardonnay grapes and has a lovely citrus nose. High on my list of red wines is the 2011 Reserve Shiraz followed very closely by the 2012 Cabernet Sauvignon. Both offer the dark berry taste that I most favour in a red wine. 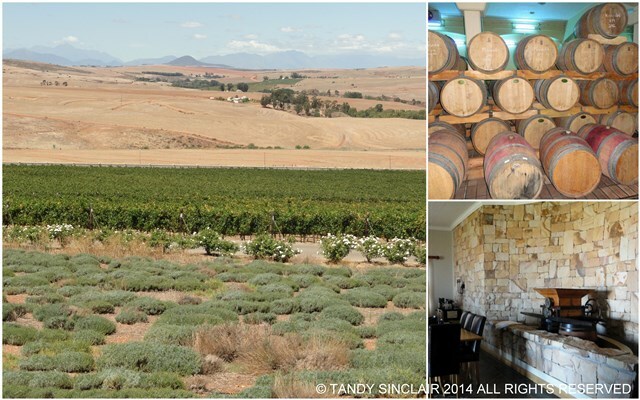 I can highly recommend that you take a drive for a wine tasting – they are open Monday to Friday 9am – 5pm and Saturdays 9am – 1pm and are situated on the N7 between Moorreesburg and Piketberg, 120km outside of Cape Town. They also have the most stunning bridal suite and offer an ideal wedding venue. Disclosure: Dave and I went to Org de Rac as guests of the owner. This blog post has not been solicited and I have not been compensated in any form for the content. We are personal friends of the owner and enjoy the wines at his house most Sunday afternoons. This post is in line with my blogging policy. Looks like a wonderful place! You’re so lucky to know the owner of a vineyard. I really love South African wine Tandy! I didn’t have any allergies to the wines as I normally do which was such a bonus! That is a bonus indeed! 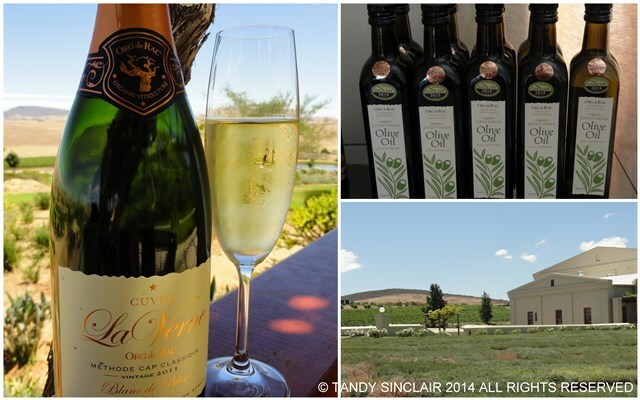 Oh you lucky things – what an amazing place and all those wonderful wines….perfect!